Strong health insurance is an important factor for all business owners to offer their employees. Good health insurance does not come without a price, however. Some deductibles can be very expensive, especially when the policy covers senior home care in the future. Many employers have combated the strain of this out-of-pocket expense by offering optional gap health insurance. This kind of insurance makes paying the initial medical insurance easier. It is a policy that covers the health insurance deductible, or any medical expenses that occur before the deductible is paid off. Gap insurance is becoming a popular trend for employers to implement as an additional health insurance option. Consider these things when you talk to your employees about adding gap health insurance to their current policy. Offering your employees gap medical insurance is a great way to offset high deductibles. Health insurance is not cheap. If your business offers a health insurance plan that has a high cost, offering gap medical insurance may ease the burden of your employees worrying about the large expense. This aspect of gap insurance may be the best part of what it offers, because it offsets a large initial cost and gives the option to pay off a much smaller amount, monthly. Gap health insurance is tailored more towards certain types of people. Some may not need the extra insurance, but this idea is important for all your employees to understand. Gap health insurance is a possible option for everyone. However, it works best for people who tend to be in the hospital or those who have a costly prescription. This is because gap insurance bridges some of these costs and gives money towards co-payments and medicine while the employee is paying off the deductible. 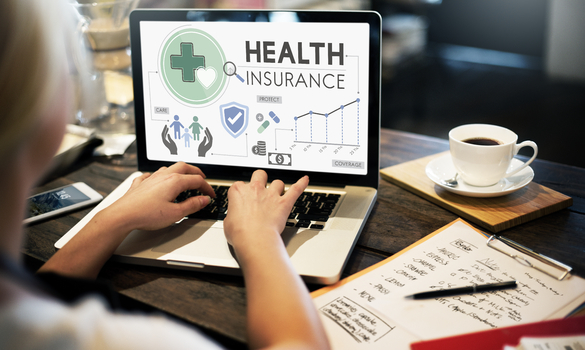 By giving your employees a means to understand the target demographic for gap health insurance, they can make a decision that is best for them. The best part of gap medical insurance is that employees are offered the highest possible protection they can get for themselves. As many tend to put it, gap insurance is like “insurance for your insurance.” Employees still need the initial health insurance before considering gap medical. However, it is beneficial that it protects the employee from losing their insurance despite the high cost. Gap insurance offers a buffer for an employee to pay his medical expenses, which is why it is so sought after for those who have high insurance costs. Surely, it is a good corporate wellness program idea to put into your overall HR package. Some may see gap insurance as the same thing as health savings accounts, but gap insurance has its benefits over HSAs. Gap medical costs at most $50 a month for full coverage, which covers everything that is on the accompanied medical plan. HSA is different because it requires a pre-tax contribution before you can take out a certain, limited amount. However, HSA is not made to complement an existing insurance but can be used on services that are not covered by the medical plan. If your business offers a medical plan with a high deductible, chances are that gap medical insurance will be a better fit for your employees. Despite all the benefits of gap medical insurance, there are a few places where it falls short. Some policies do not cover certain expenses, such as lab work or costs towards therapy. Some employees may find it unnecessary to pay extra in order to achieve their deductible. Whatever the case, gap health insurance is not perfect and it is important to express such points. As an employer it is important to understand the specifics of your business’s medical insurance and to communicate with your employees. As a whole, gap medical insurance may be a good option to consider for your business. With the rising costs of health insurance, having the buffer and safety of gap health can be beneficial. It offers a great complement to current medical plans and combats high out-of-pocket expenses. Every good employer should understand the ins and outs of their company’s medical plan. It will help if you are sick and self employed. Explaining the specifics of your business’s gap insurance can help your employees make a good, clear decision that will help them.